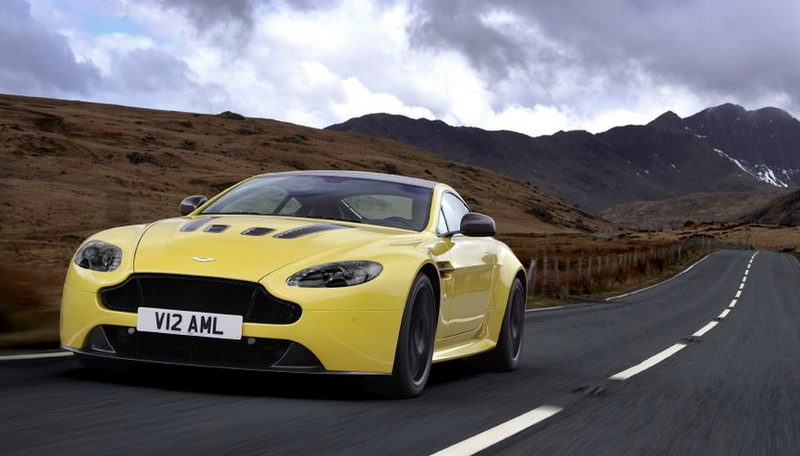 The Aston Martin V12 Vantage S May Get A Dog-Leg Manual Gearbox Hooray! Dog-leg manual gearboxes are the best kind of manual gearboxes. Not just because they make two-three and three-two shifts quicker, but because they’re downright quirky. And we like quirky. And it looks like Aston Martin wants in on that quirk, because they’re reportedly dropping a dog-leg seven-speed into their V12 Vantage S.
Aston Martin’s may launch a new V12 Vantage S special edition with a proper seven-speed manual transmission, The Drive reports. The great part? The resulting shift pattern will be a dog-leg style similar to the one below. Hooray for dog-leg gearboxes! We don’t know much about this proposed seven-speed transmission, but Road and Track thinks Aston will basically take the current car’s Speedshift III seven-speed automated manual, rip out the electrohydraulic system, and replace it with a standard clutch pedal. Aston Martin has done something similar before, but only as an aftermarket option. On older Vanquishes, which also came with automated manuals, owners would send their cars to Aston Martin Works, who would then gut the actuators, and install a clutch pedal. Who knows if that’s what will happen here, or if Aston will plop in a completely different seven-speed manual transmission. Either way, we’re happy, because while a 565-horsepower 6.0-liter V12 is great, it’s not as great when electrohydraulic actuators are doing all the leg-work (pun intended). A dog-leg style gearbox is what this car needs. Yes, that means at stop lights, you’ll probably reverse into the car behind you, and your 0-60 times will be a bit worse thanks to that dog-leg-shaped one-two shift, but who cares? If you take your V12 Vantage S on the track—and I’m sure exactly zero owners actually do—that two-three shift will be buttery smooth and quick. More importantly, it’s just weird and unnecessary, and we like that kind of stuff. Heck, our latest Jalopnik/Blipshift T-Shirt has a big dog-leg shift pattern right on the front.